DNG Maxwell Heaslip & Leonard presents a wonderful opportunity to acquire an ideal first time buyer or investment property in the popular Corrib Park estate, ideally located within a short stroll of both NUIG and UHG and just a 10 minute walk from the city centre. The property is also within walking distance of a host of amenities including Westside Shopping Centre, Dunnes Stores, and Aldi, and has the benefit of a regular bus service on the doorstep. Accommodation is spread over two floors and includes an entrance hall, living room, and kitchen/dining room on the ground floor, while first floor accommodation comprises three bedrooms, a main bathroom, and stairs to a converted storage attic. 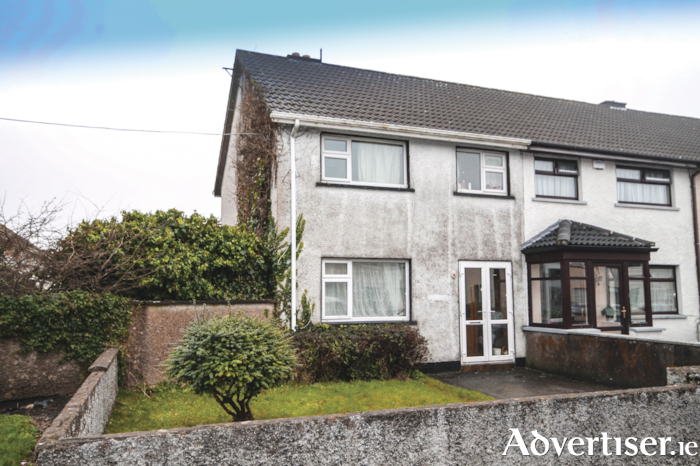 While in need of some refurbishment, the property has the benefit of a large, enclosed, rear garden with potential to extend. According to selling agent James Heaslip MIPAV MMCEPI: “This property offers a super opportunity for either an owner-occupier or an investor, as the location is always in strong demand given its proximity to NUIG, UHG and Galway city centre. We have seen an increase in demand from those seeking to purchase investment property as the solution to their children’s college accommodation needs, as supply is far outstripped by demand. Given the proximity of this property to both NUIG and UHG I feel that this offers the ideal opportunity for same." He added: “I would advise anyone looking to either get their foot on the property ladder or to acquire an attractive investment property in the area to avail of our open viewings as soon as possible." Open viewings are from 11.30am to 12.30pm on Wednesdays and Saturdays. Auction will take place on Thursday May 10 at 3pm in the Galmont Hotel, Lough Atalia, Galway. For more information contact the residential sales team at DNG Maxwell, Heaslip & Leonard on 091 565261.